“Vecchio Fontanile” has two apartments with one or two rooms and six double rooms all with private bathroom and facilities for disabled people and one room for breakfasts in common. Air conditioning, TV, breakfast, garden with children's playground, barbecue with tables and mountain bikes are included in the price. The farmhouse is located in the hearth of the Morellino wine area, only 20 minutes far from the coast of Monte Argentario, 30 minutes from the archeological sites of Sovana, Puntone, Saturnia, Roselle, 15minutes from Saturnia spa centre and 40 minutes far from the “Parco della Maremma” and Monte Amiata. Giuliana and Antonella are waiting for you. The farmhouse is open all year. 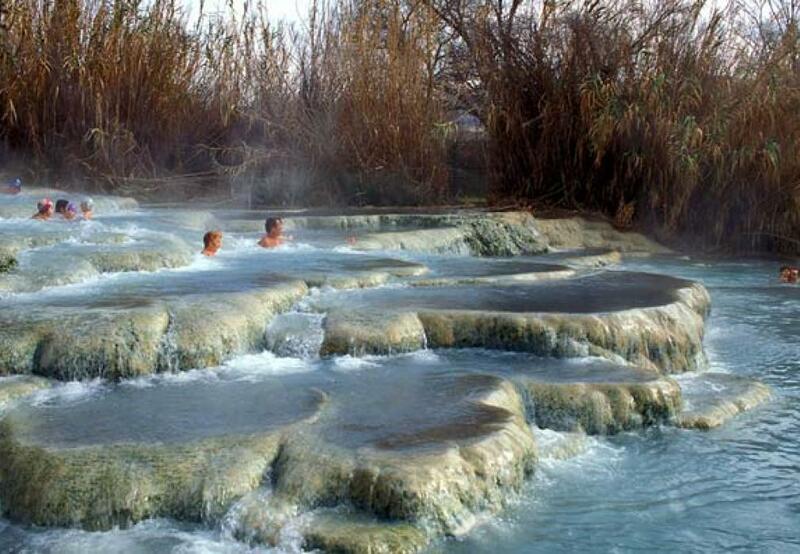 not far from the thermal springs of Saturnia is the ideal starting-point to go walking, cycling, horse riding or to visit the Etruscan necropolis in Sovana.